Last Wednesday, the White House held the first Open Data Summit to showcase the open data accomplishments of the Obama Administration. One of the highlights was the formation of a government-wide “data cabinet.” Announced by Chief Data Scientist DJ Patil, the data cabinet is essentially a community of practice comprising the Federal agency’s data professionals. As Dr. Patil explains, the real issues concerning technical projects revolve around cultural issues. I couldn’t agree more. Opening up the Federal data sets and moving to evidence-based policy making requires a significant shift in how Federal agencies operate. First, there is increased transparency into the operations and processes of the agencies. In every project where we have instituted dashboards and metrics, people have reacted with apprehension and even fear. I even have the same fears probably instilled since the first time I had to bring home a report card to be signed by my parents. 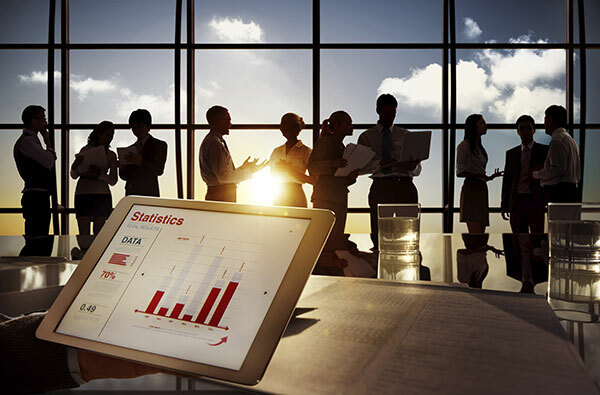 Metrics can have great value in improving the agencies’ operations. However, the people reporting the metrics must believe in the fairness and accuracy of the metrics or else the conclusions will be disputed or dismissed. The cultural issues are not just internal. Good data can explain to the American people how effectively and efficiently Federal agencies are in delivering their respective missions. The key is to pick the right metrics that demonstrate a true connection between the metrics and the valuable agency outcomes. Performance reporting also requires an education effort as some metrics and their relationship to the agency’s mission may be difficult to understand. 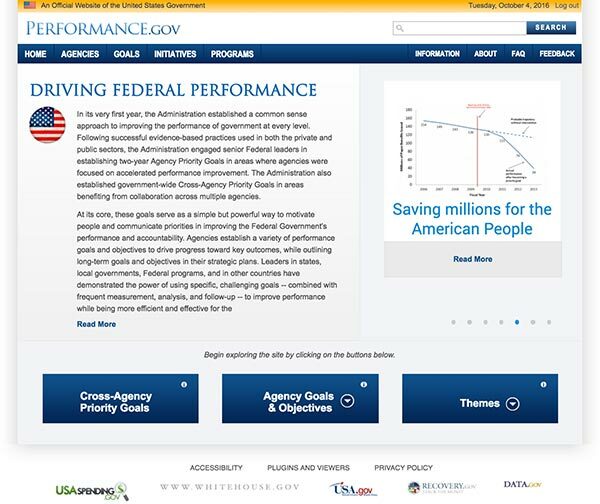 Performance.gov is a great start, and it would be nice to have a tutorial section to explain the performance measures and how the measures were calculated. With addressing cultural issues, the data cabinet could also help coordinate the emerging Federal agency’s microservices and progressive web applications. I’ve written about microservices before because they have great potential for transforming how applications are built and delivered to users. To recap: microservices are small, single-focused online applications that can be combined to create larger applications. The data cabinet can help coordinate the creation of microservices so agencies can share microservices government-wide. Recently, there has been increasing interest in progressive web applications (PWA). David Fern explains PWAs this way: “PWAs have been able to take the best of both worlds [native applications and web applications] and combine them into a hybrid application that is fast (with or without a fast network connection), can work across devices, and does not need to be distributed through a store as it is as linkable and shareable as a web page.” Combine PWAs with microservices on a serverless apps infrastructure and you have an ecosystem built for innovative Federal applications. Again, this is where the data cabinet can play an important role. With all thriving ecosystems, there is a need to maintain and cultivate the ecosystem. Like a good gardener, the data cabinet can promote the growth of good microservices and PWAs while weeding out failed microservices and PWAs. The data cabinet can coordinate cross-agency efforts and help fill in gaps with focused technical projects. The data cabinet is a great idea that can help continue the Federal open data revolution started in 2009. Promoting cultural change (both inside and outside of government) while cultivating the emerging Federal applications ecosystem. The Federal agencies have made great strides individually but, can do so much more by coordinating their efforts and innovations.